Prince's estate has filed a lawsuit in response to the new EP Deliverance. 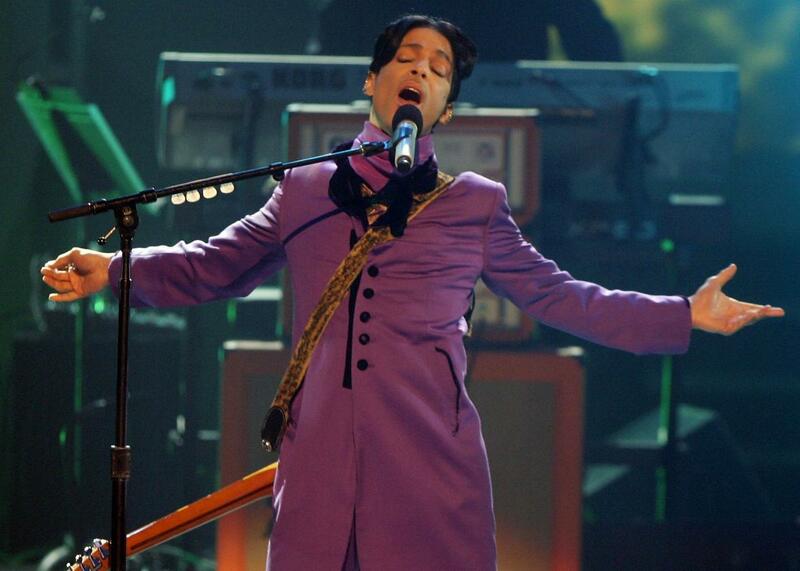 Prince at the 2006 BET Awards. Update, April 20, 2017: On Wednesday, a judge granted Prince’s estate a temporary restraining order against George Ian Boxill, which means the EP Deliverance will not be available to fans on Friday, as previously announced. Boxill has also been ordered to deliver the recordings to the estate. Prior to the May 3 expiration date of the restraining order, a hearing will determine what happens next. While the title track has disappeared from iTunes, it’s still streaming on Soundcloud (for now). The posthumous Prince EP Deliverance, comprising previously unreleased songs, has been met with legal pushback less than 24 hours after its announcement by RMA (Rogue Media Artists). Paisley Park and Prince’s estate have joined forces for a federal lawsuit in a Minnesota district court with the intention of blocking the six-song EP from being released as scheduled on Friday, the one-year anniversary of Prince’s death. According to KSTP in Minneapolis, the suit alleges that George Ian Boxill, a sound engineer and mixer who worked with Prince and completed production on the songs featured in Deliverance, agreed to a confidentiality agreement which stated that their collaborations “would remain Prince’s sole and exclusive property” and that Boxill “would not use any recordings or property in any way whatsoever.” Variety reported on Tuesday night that this discrepancy would likely lead to legal action, so it’s not surprising that it has. Prince cared vey deeply about control & ownership of his recordings; he spent decades fighting for it. This release is clearly unauthorized. This appears to be sourced to a recording engineer who worked with Prince for years & is now publicly claiming cowriter & coproducer credit. The songs themselves seem to have been modified from the versions of the songs that others heard while Prince was alive. And the people promoting the release have planned this deception for a long time; they have a video with an impersonator, a huge promo push. While Prince was okay at times w/ fans trading songs, he clearly would've felt an unauthorized for-profit release of his work was betrayal. Prince spent decades fighting the legacy of black artists having their creative work stolen or exploited. This seems like exactly that. Boxill has reportedly refused to return the recordings. The suit formally requests that he and any associates “return the Prince Recordings and refrain from using anything Boxill obtained with his sessions with Prince.” RMA still intends to go ahead with the release, according to NPR, pending a potential injunction.